Howard Sellars reclaims Legends title in style! Torbole and Latke Garda created a stunning backdrop for a challenging Finn World Masters 2016. 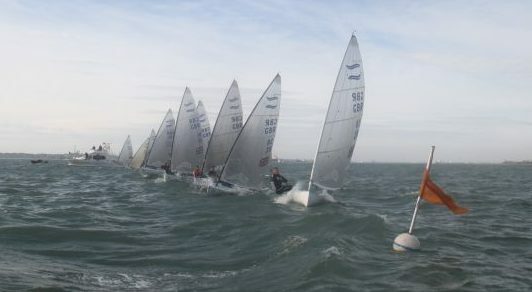 Big winds, big shifts and big bends provided testing conditions for the 355 competitors from 32 nations that gathered for the largest ever Finn regatta. Howard Sellars put a brilliant performance together to win the Legends title for a third time from a tough field. 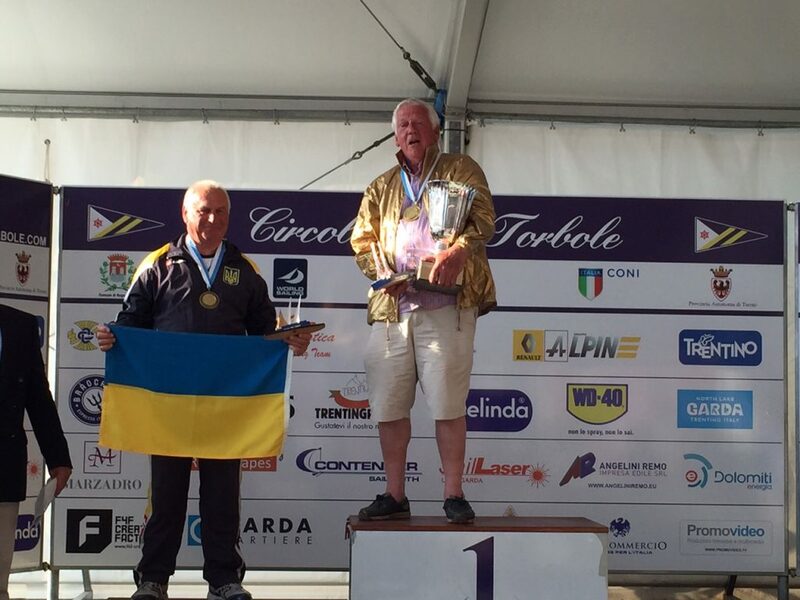 His (52), 21, 22, 12, 47, 29, 24 scoreline was more than enough to take the trophy by 23 points from Andreii Gusenko (UKR) and an impressive 89 point margin over the 2015 winner Henry Sprague (USA) who had finished 11th overall in Kavala last year. 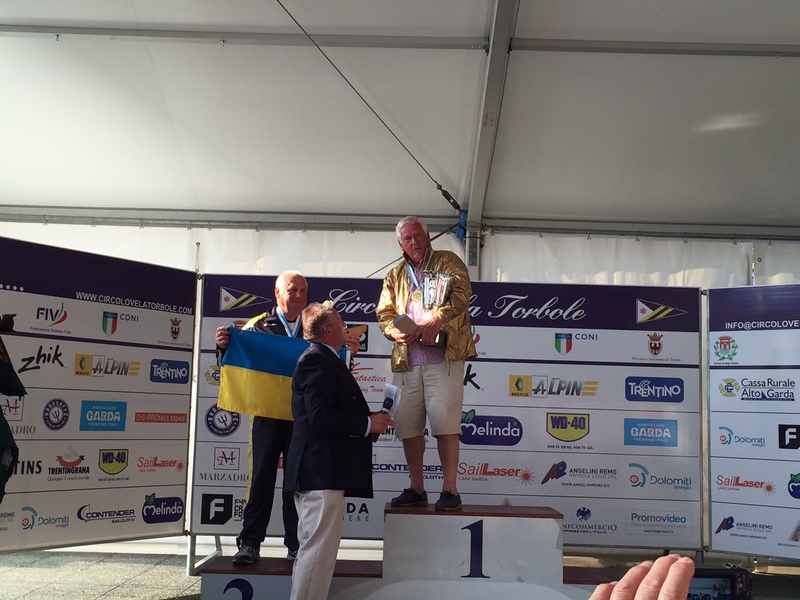 Howard was crowned with a gold jacket bearing the number 1 on the back – a nice touch from World Masters President Andy Denison. 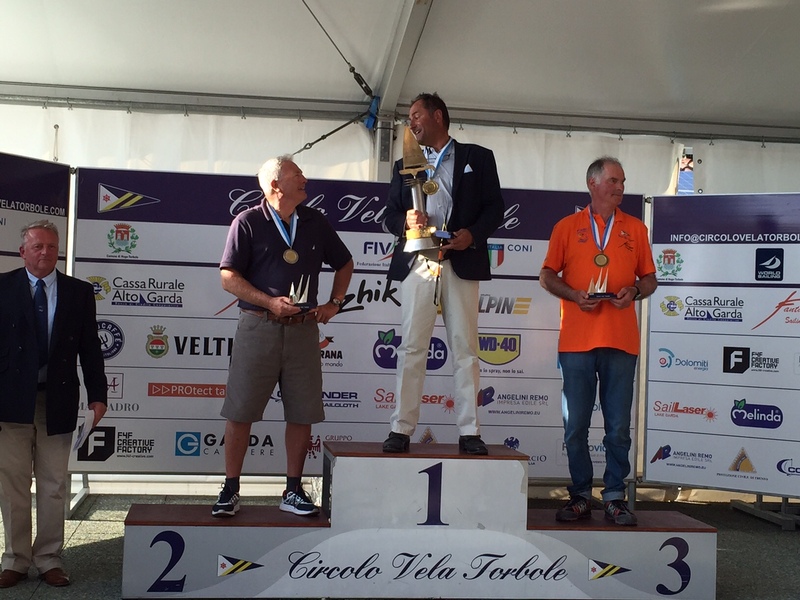 Howard is now in long term training for the ‘Super Legend’ title – an incredibly fit looking Pedro Jiminez-Meifren was the first ever winner in Torbole to great applause – something for us all to aim for! 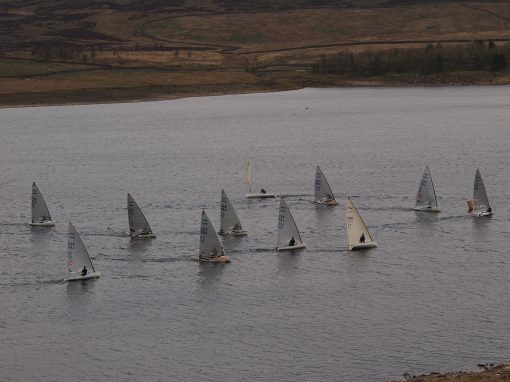 Sellars was sailing a Petticrow boat with North Sails – which he managed to keep upright all week, whilst many others rolled it in downwind in the gusty conditions. 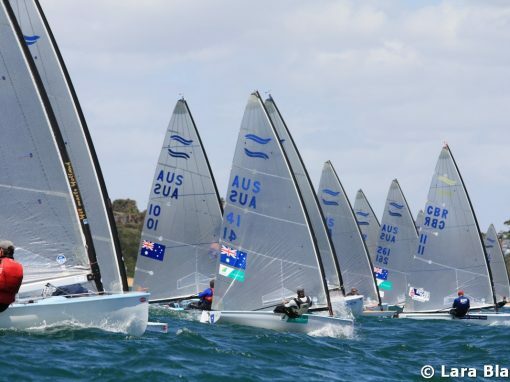 Elsewhere, Finn France President Marc Allain Des Beauvais sailed a great series – never out of the top 6 until the medal race when he slipped to 9th overall but still more than enough to secure the Grand Grand Masters title. 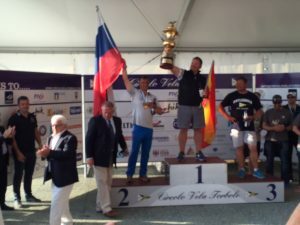 The medal race was a griping showdown between Rafael Trujillo (ESP), Athens 2004 Silver Medalist and a Finn Gold Cup winner, 2015 World Master Vladimir Krutskikh (RUS) and multiple World Masters winner Michael Maier (CZE). Rafa and Krutskikh both had a perfect tally of race wins and had not faced each other in the heats before the medal race. 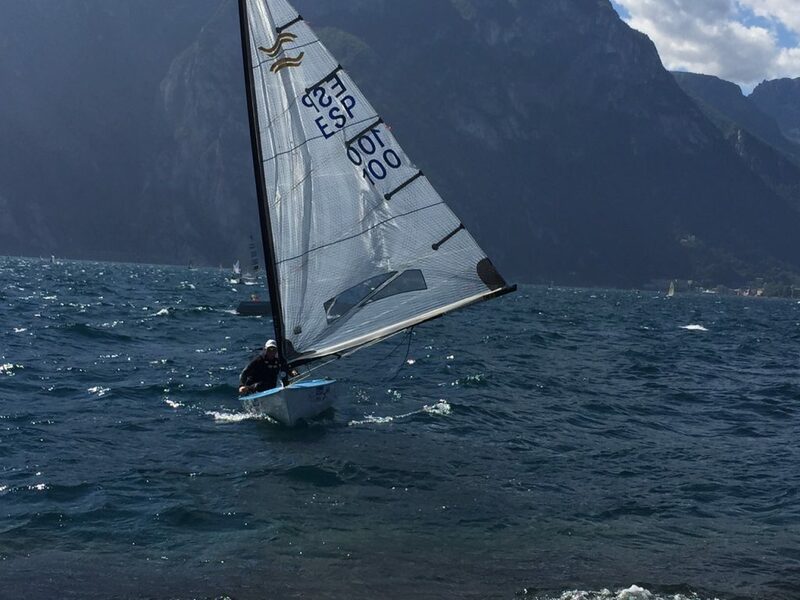 Maier initially took the lead but Rafa came through strongly on the downwinds to claim his first World Finn Masters title. Top Brit was once again Allen Burrell in 16th, having picked up a new Fantastica boat at the championship and raced it for the first time. 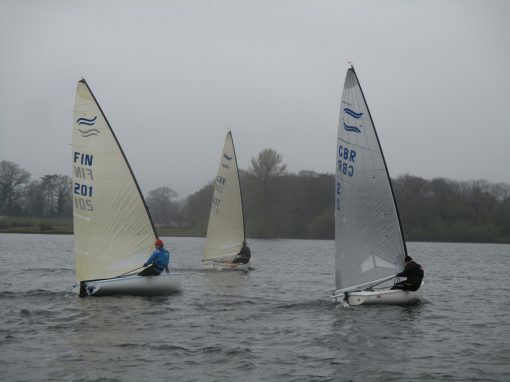 Behind Burrell, Simon Percival sailed a great series in a borrowed Ed Wright boat to finish an impressive 43rd and John Mackie proved that a lot of practice is not essential – coming in 51st in only his second regatta this year. 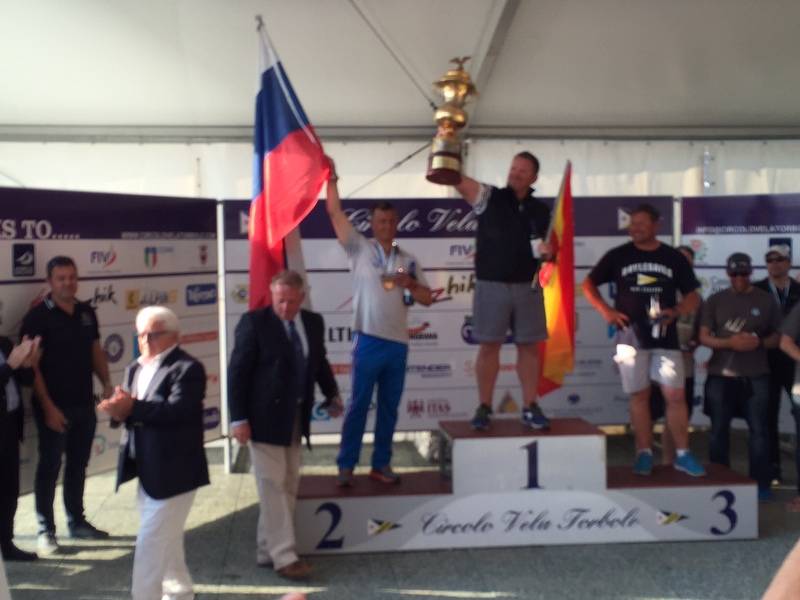 Several of the top nations came with on the water coaches and are clearly taking it more seriously these days. Team GBR should consider it for Barbados 2017!